Do you know these 2,000-milers? Perhaps it is you in this photo? If so, send a note to: [email protected] and we will publish it in the Letters section of the Summer 2018 issue of A.T. Journeys. © 2018 Appalachian Trail Conservancy. All rights reserved. the Appalachian Trail Conservancy (ATC) as the president and CEO. As I write this, I am 14 weeks into my new position, just long enough to form some strong and positive initial impressions I’d like to share with you. Before my first day on the job with the ATC, as I began telling my friends and family that I was taking this position, I heard dozens of stories about weekend backpacking trips and aspirational thru-hikes on the Appalachian Trail; about Trail angels and people who eventually became life partners after meeting on the Trail; about encounters with bears and about dealing with loud snorers in shared shelters; and about the pleasures of hot showers and restaurant-served comfort food after several days on the Trail. Delightfully — as I meet with members, volunteers, donors, clubs, and communities, federal agency partners, and elected officials — the colorful accounts of Appalachian Trail experiences continue. Everyone seems to have an A.T. story — or wants one. Which leads me to the point: the Trail has a remarkable ability to inspire. Nearly 6,500 people are inspired every year to give up time and other pursuits to build privies, rip out invasive species, and clear the Trail of hazards after a storm. Local communities welcome thru-hikers and over three million day-hikers and weekend backpackers, appreciating that their future is closely tied to ongoing stewardship of the A.T. Educators and researchers discover new ways to connect young people, and all of us, to nature. Veterans find peace and refuge. Our work will preserve one of the most important landscapes in the eastern United States so that it can continue to inspire each of us. I have made it my mission to meet with the public and our partners to carry this message forward: the power of the A.T. motivates each of us and the very future of the Trail depends on what we do now. What we do now affects millions of Americans in the eastern United States, for generations to come. That message is resonating. The ATC has responded to several requests to speak before large and small groups about the importance of the A.T. greenway. In March, the ATC was one of three organizations invited to present at the National Park Friends Alliance annual meeting, a gathering of 200 friends groups who support national parks around the country in various ways. I am proud to report that the reception to our message is positive and enthusiastic, and that we are building and expanding our base of support to help protect the Trail. Over time, with the support of our great team at the ATC, our volunteers, and partners, I expect to build the profile of the ATC to draw in more and more supporters. I want to make certain the public understands that the work we do honors the forward-looking vision of Benton MacKaye, who, while walking in the woods, conceived of a unifying trail in 1921 — and is credited with getting the grand idea of the A.T. built. Now is our time to take MacKaye’s vision to the next phase. MacKaye 2.0? We need to let the nation know (the world, for that matter) that the inspiration of and for the A.T. prevails. Over the next several years, we will continue to welcome millions of outdoor recreationists. We will continue to assist Trail Communities in optimizing their economies and way of life. We will continue to be one of the most impressive volunteer forces in the country, and will catalyze the engagement and stewardship of youth. Our work will preserve one of the most important landscapes in the eastern United States so that it can continue to inspire each of us. Our mission — together — is to build and mature broadened awareness of the significance, importance, and uniqueness of the A.T. Our strength is in our stories and in our shared commitment to the Trail. I am grateful to be on this journey with you. Lou Killion and Allie Tate pose with a handmade pizza box sign marking the end of their flip-flop thru-hike in Greenwood Lake, New York. Our new feature profiles inviting communities near the A.T. that work in tandem with the ATC to enhance stewardship of the Trail — this stop: Marion, Virginia. Whether northbound, southbound, flip-flop, or by section — 1,254 hikers reported their completion of the A.T. this past year. When it comes to energy infrastructure plans along the A.T. corridor, the ATC wants a seat at the table. Get to know the ATC’s new president and CEO. A how, where, and what-to-know guide to prepare for and enjoy any section of the Trail. A New Jersey native regularly hikes sections of the Trail with his camera to capture its beauty one frame at a time. Dudley White’s preparation for a flip-flop thru-hike this spring included a generous donation to the ATC. One spunky woman shares her burning desire to hike portions of the Trail on her own terms. Thoughts on the highs and lows — and the rhythm of long-distance hiking on the Trail. marvelous initiative. The Winter issue of A.T. Journeys came in today’s mail and I read Anne Baker’s article (“14 States Endless Ways to Hike”) with great interest. I have been walking on the A.T. for 46 years and lived beside it for 13 years. I have no ambition to walk the entire length. This notion of hiking some portion in each state is very appealing. I have my aspirational patch already. Seven states down, seven to go. Flip-Flop”: Springer Mountain to Harpers Ferry. Then Katahdin to Harpers Ferry — the best way to walk the Trail and see its demographic profiles and the most important ways of walking it! Loved starting with late starters, who are a fascinating mix. Loved the adventure down south (such as nearly getting killed by falling pines in the 80 mph winds in the Smokies, drinking moonshine, and talking politics with the [locals]). Loved to hate the bugs, flooded parts of the Trail, and the mud (thank God for the slimy rocks and roots so one can hop from one to another for miles, right?!) Loved to meet the much more solipsistic SOBOs. Loved the solitude of the southbound hike. Loved southern Maine and northern New Hampshire, especially the part from Caratunk to Gorham — so beautiful one could die of happiness. Loved walking back into the NOBO bubble and meeting the people I had hiked with down south — oh, the joy of seeing so many friends again! Loved the challenging weather in the Whites. Loved getting back into the temperate kind of woods, descending from Mount Moosilauke. Had some hard time through Vermont and Massachusetts due to vitamin deficiency and a head cold. Loved coming out of the NOBO bubble and its straggler tail; the woods were again all mine. Was amused by the occasional and quirky late summer section-hiker. Enjoyed the slow descent that went on and on, all through Vermont, Massachusetts, Connecticut, and Pennsylvania; it was like landing a big jet, gently, oh, so gently. A big thanks to all of ATC, especially its volunteers. I am really grateful for being able to have this wonderful and insightful experience. around here recently. We literally were buffeted by record-setting winds in the mid-Atlantic region. And, it seems, we figuratively are buffeted by strong winds of change and challenges daily. How we adjust our sails toward them says much about our character and our mission. In early March of 2018, strong winds roared through from the Potomac Highlands to the Chesapeake Bay. Wind gusts were recorded at over 90 miles per hour. North and south of here the spine of the Appalachians also experienced large, late winter snowfalls as four different nor’easters made their way up the coast. Late winter is wreaking havoc on the Appalachian Trail. In the section maintained by the Potomac Appalachian Trail Club (PATC), overseers were reporting up to 30 downed trees on one to two-mile sections. Shenandoah National Park had to close to clear Skyline Drive. The impact of the spring snowstorms, not to mention the anticipated runoffs and coming rains, for our northern and southern sections remain to be seen. Members of the ATC’s Next Generation Advisory Council and ATC staff pose during a day of advocating for the A.T. on Capitol Hill this past February. The weather, always a challenge to the Trail overseer, has reached a new level of impact. However, we are as always up to the challenge. PATC has done phenomenal work in a short timespan to ensure that the section of Trail they are responsible for will be open and ready for the hiking season. Trained volunteers deployed individually and in teams to all impacted areas, often working side-by-side with park personnel to clear trails and Trail accesses. I know that these actions are being repeated up and down the Trail by all of our clubs and partners. What our volunteers accomplish is truly without compare and represents the gold standard of citizen contributions to our public lands. Those figurative winds present different challenges. Our Federal partners are facing unprecedented changes to staffing and budgets. Questions as to the fundamental purposes of public lands is being debated, as is the definition of public access. Plus, the pull and push of energy resource development versus land protection continues unabated. Determining our role and responsibility during these times is something with which the Appalachian Trail Conservancy’s (ATC) Board and staff continues to remain committed. Yet again, though, the A.T. spirit always rises to the challenge. The ATC presented a large and unified coalition during “Hike the Hill” week in February. I was especially thrilled to see nine of our Next Generation Council members in town and ready to meet with elected officials to talk about the importance of the Appalachian Trail, keeping it and its hiker’s experiences protected. 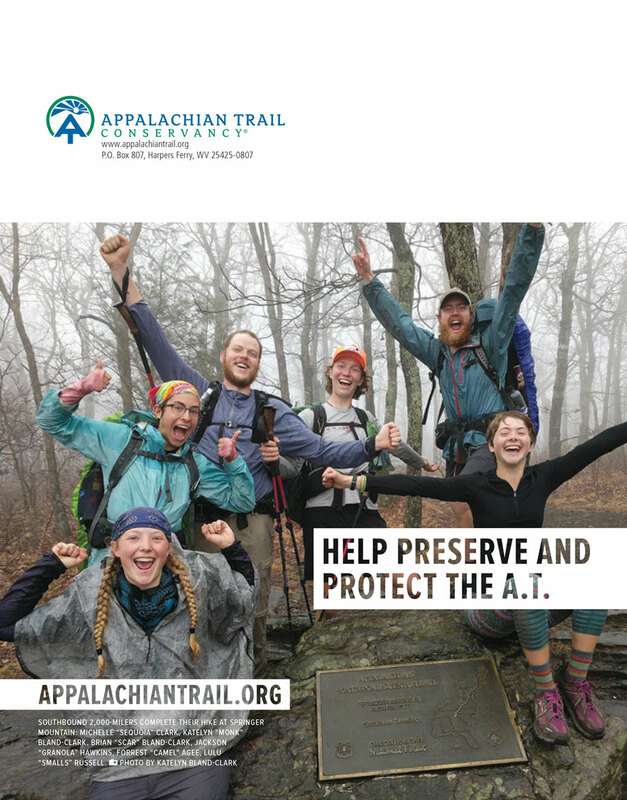 Our website has been updated to highlight our role as the Protectors of the Appalachian Trail, including specific ways that members can support our mission through citizen action. And I must specifically acknowledge the work of the Roanoke Appalachian Trail Club and Diana Christopulos and their efforts to stop the Mountain Valley Pipeline across the A.T. in southwest Virginia. While part of a larger and extremely robust coalition of environmental and community groups, as well as local government entities, the A.T. club’s leadership in this effort cannot be over emphasized. The Appalachian Trail community has a long history of withstanding strong winds and we will always make sure the Trail is passable and protected from the impacts of both meteorological and society’s storms. Thank you for joining us in these efforts. Highlights include a hiker parade, educational programs, guest speakers, free gear repair, music, food, and more. Stop by the Appalachian Trail Conservancy booth in the town park to enter to win prizes. Just after Christmas last year, the Deerfield Wind Project became the first commercial wind farm to operate on national forest land in the Green Mountain National Forest in Vermont. The field’s 15 turbines will power 14,000 homes and generate up to $7 million of payments to the towns of Readsboro and Searsburg — and accrue $6 million in tax revenue to the state over the life of the project. It’s a renewable energy installation with clear benefits, however, the towers are within the Appalachian Trail viewshed. While some may frown on the visual mark of the 400-foot towers and the environmental impact of its installation, the Appalachian Trail Conservancy’s (ATC) New England regional director Hawk Metheny was concerned that the standard FAA-required strobe lights would flash near an overnight site on the A.T. and impact the Trail experience. The ATC appealed the Forest Service’s permit of the project, and, at its urging, the federal agency agreed to require lighting that will flash only when radar detects an aircraft nearby. The appeal may have only tempered a portion of the project’s impact, but the outcome was a small win for protecting the values of the Appalachian Trail, and may set a precedent for wind tower projects on other public lands. Large landscape conservation means maintaining not only the federally protected A.T. footpath and its corridor, but also protecting the areas surrounding the Trail. “Voices from the Mountains” — the first of season 2 of the myATstory video series — is about a connection to something larger than the A.T. footpath. The headwaters of creeks, streams and lakes dot the Appalachian Mountain Range, providing clean water to millions of people. The breeding grounds and migration flyways of many bird species run the length of the Appalachian Trail corridor. High-elevation grasslands, numerous wetlands, and a variety of alpine, coniferous, and mixed-hardwood forests host rare and endangered plants found nowhere else on earth. The A.T. also meanders past significant cultural and historical landmarks, from Civil War battlefields to the Dover Oak — the largest and oldest tree on the entire Trail — serving as a lens into our nation’s cultural and natural histories. The Appalachian Trail Conservancy (ATC) has opened an office in Washington, D.C. to support the conservancy’s work with Congressional members, federal agencies, and conservation allies. The office is located within the Wilderness Society’s offices alongside a dozen other conservation organizations at 1615 M Street, NW, Washington, D.C. 20036. The Appalachian Trail Conservancy has a strong historical connection to the Wilderness Society. Benton MacKaye advocated for the creation of the Appalachian Trail in 1921 with a compelling article that proposed the need for saving and protecting wild open space in the populous Eastern United States. Fourteen years later, MacKaye co-founded the Wilderness Society along with now-legendary conservationists Aldo Leopold and Bob Marshall. The A.T. passes through 25 wilderness areas for a total of 150 miles of the A.T.’s 2,191 miles, equating to approximately seven percent of the Trail. New voting procedures are going into effect this August for the Appalachian Trail Conservancy’s (ATC) first “live-streamed” annual meeting. All ATC members will receive an email with information that will allow them to vote for the slate of five new members of the Board of Directors. Voting will require a membership number for access to the voting page. Paper ballots will not be distributed. The meeting will be held from 1:30 to 3:30 P.M. on Sunday, August 12, 2018, at the National Conservation Training Center outside Shepherdstown, West Virginia. Participants must register in advance and cannot register on-site. The meeting will also be open to discussions of ATC corporate affairs in a town hall format — members can participate online or in person. The Maine Appalachian Trail Club’s newest lean-to was finished on October 14, 2017. Nineteen MATC members volunteered 1,239 hours to this project from June 2016 to October 2017. Nine weekend trips were made to complete the construction of the Lean-to. The lean-to is designed to accommodate eight hikers per night. The overall plan for the lean-to was adopted from the Horseshoe Canyon Lean-to, built in 1991. This is the first lean-to on the A.T. in Maine to feature a transfer platform for disabled hikers where a portion of the bunk is extended to the front of the deacon seat, in compliance with modern day accessibility standards. Members of the Mount Rogers A.T. Club pose on the finished bridge — happy that their hard work is complete. A.T. hikers heading north out of Damascus, Virginia have a new landmark to look out for: a sturdy, engineered footbridge over Straight Branch. Five and a half miles north of town, near Highway 58 and a parking lot for the Virginia Creeper Trail, the clear waters of Straight Branch pass under the A.T. and tumble into larger Whitetop Laurel Creek. Due to the steep terrain, this humble mountain stream can swell dramatically after a thunderstorm. In 2013, a flash flood washed away the existing A.T. footbridge without leaving a trace. Due to an increasing number of serious human/bear interactions at many locations along the A.T., the Appalachian Trail Conservancy (ATC) continues to strongly recommend use of a bear canister by anyone staying overnight on the A.T.
An acquisition of 216 ecologically significant acres near the Appalachian Trail in Pawling, New York is a good example of why the Appalachian Trail Conservancy (ATC) is teed up to promote the reauthorization of the Land and Water Conservation Fund (LWCF). Established more than five decades ago, LWCF supports the protection of federal lands and waters through voluntary conservation initiatives. Under congressional authorization provided through LWCF and the recent passage of the 2018 federal budget, $2 million will purchase private property in Pawling along the Trail. An additional $300,000 in private funding — including a contribution from the ATC made possible by the Volgenau Foundation — is being raised to complete the transaction. In 2018, America is celebrating the 50th anniversary of the National Trails System Act as well as the Wild and Scenic Rivers Act. Join the celebration by participating in a National Trails Day event, or simply head outdoors and #FindYourTrail. Saturday, June 2, 2018 is National Trails Day — the only nationally coordinated event designed to unite all muscle-powered trail activities with the goal of connecting more people to trails. Every trail beckons adventure and has a story to share with any person willing to discover it, and the American Hiking Society believes these trail experiences can improve the lives of every American. Each year, on the first Saturday of June, the American Hiking Society and the trails community invite people of all ages and abilities to find their own adventure and discover their unique story at one of the thousands of events hosted throughout the country. By coordinating a wide array of trail activities on a single day, National Trails Day attracts new trail users and helps connect existing trail enthusiasts with local clubs and organizations with the hopes of creating trail advocates and stewards. The task to protect and maintain more than 200,000 miles of trails in the U.S. requires a collaborative effort among trail clubs, organizations, government agencies, and most importantly passionate trail advocates and stewards. Do you have that perfect photograph of the Appalachian Trail? We are seeking photos for the official Appalachian Trail Conservancy (ATC) 2020 calendar by July 15, 2018. The ATC calendar, co-published since 2012 with Rizzoli International’s Publishing, features a mix of photographers and subjects and has always had a dual purpose: To show the visual allure of the Trail landscape to hikers and non-hikers alike — and to brag a bit about the volunteers who maintain it. You could be a part of that legacy. What we need: High-resolution digital images (TIFFs only) of scenes on the Trail. 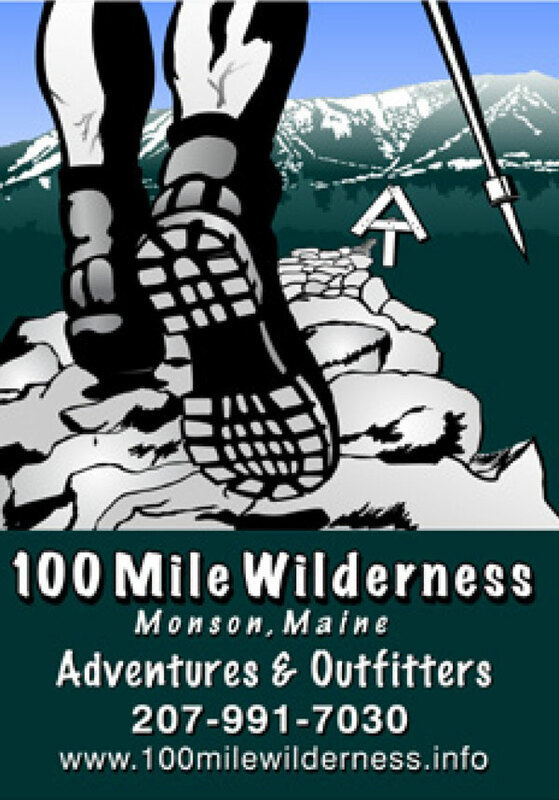 Send images (limit of 36) to: Publisher, Appalachian Trail Conservancy, P.O. Box 807, Harpers Ferry, WV 25425. Digital images should be no smaller than 13 inches long and wide. Please include: location and month taken for each image — with the photographer’s last name and image ID in the file name. Visible blazes are a major bonus; so is sunshine. Candid shots of hikers near blazes are a double bonus (each selected image is worth $200 — posed shots cannot be considered). uzanne Dixon, the Appalachian Trail Conservancy’s (ATC) new president and CEO, walks into the room confidently. She takes a seat, leans in and says, “Hey, y’all. I’m here to learn all I can.” It’s her twinge of Irish brogue that tips you off to Suzanne’s Irish upbringing. Just as her fancy cowboy boots give a nod to her work in Texas. Prior to becoming the ATC’s CEO/president, Suzanne worked on behalf of 16 national park units in Texas where she impressively achieved World Heritage Site status for San Antonio Missions and, just as impressively, secured a presidential designation to create Waco Mammoth National Monument. One thing about Suzanne is that she is not easily stereotyped so A.T. Journeys (ATJ) decided to start our Q&A session asking about her boots. ATJ: LET’S TALK ABOUT THE COWBOY BOOTS AND YOUR IRISH HERITAGE. SD: (Laughing, and then getting serious). I suppose you could say I’m all about immersing myself, giving myself fully, to the work I do. I grew up in Ireland in the County Kildare in a village of less than 2,000 people surrounded by spectacularly scenic countryside. I moved to the States two decades ago and, within a short period of time, found myself working on behalf of national parks. It wasn’t a stretch to join my childhood experiences and appreciation for beautiful places with America’s national parks. And, for the record, whenever I can, I lace up my hiking boots. This listing of determined individuals represents a record number of 2,000-milers for the 7th year in a row. Those included have reported hike completions of the entire Trail (thru-hikes or section-hikes) to the Appalachian Trail Conservancy (ATC) since the last listing in A.T. Journeys a year ago. For the second time, the number of thru-hikers who reported completing a flip-flop itinerary was greater than the number of those reporting a southbound thru-hike, although northbounders are the largest category by far again. And for the first time, we received applications from hikers as far away as Poland and Slovenia. The rest are from previous years (there is no time limit on reporting a hike completion) — with 1,254 hikes of the entire Trail included. The ATC does not verify hike completion reports, which are submitted via an honor system. north Georgia and east Tennessee, at 17 I was presumptuous enough to think I knew the Appalachians. I had spent countless days exploring their rivers and trails. I loved their slopes and their swimming holes, their draws and ridges that undulated endlessly across the landscape. Then I moved to New Hampshire for college. The first time I saw the White Mountains soaring skyward from Franconia Notch on I-93, I felt like I was in a completely foreign land. There was no way that these sharp, imposing peaks could be part of the same range that hugged my hometown. From those craggy granite peaks to the clear lakes of Maine and the picturesque pastures of Virginia, the Appalachians encompass many diverse landscapes, and the Appalachian Trail traverses them all. This variety is one of my favorite things about the A.T. Each section of Trail feels unique, and there are always new adventures to be had. But because of this richness, planning a trip on the A.T. can be daunting — it’s like 2,190 destinations in one. How do you decide what section to hike? What state, even? And once you’ve settled on a destination, the questions have only begun. What do you need to bring? Do you need a permit? Will the Trail be overrun with summer campers singing their way down the mountain, or will you find the peace and quiet you desire? Well, worry no more. Consider this your guide to help you start planning your dream A.T. vacation. Landscape photographer Raymond “Flash” Salani III says he delights in, “capturing the beauty of the Appalachian Trail one frame at a time for people of all ages to enjoy.” He was born and raised in north central Monmouth County, New Jersey where he purchased a home four years ago. As a section hiker, he has logged more than 550 miles on the Trail so far — usually with his camera in hand. “Any day on the Trail, Mother Nature shows us her finest pallet,” he says. When on the Trail, he is usually with members of the Appalachian Mountain Club, his college cross country coach Welles Lobb from his time at Muhlenberg College (who took him on his first A.T. hike during cross country preseason), and his family — when they can make it. “I am grateful to have others who want to hike the Trail in sections and who are also patient with my photographic visions and needs,” he says. “I often lead Appalachian Mountain Club hikes that focus on a love for photography, but are also strenuous, so we can maximize the amount of Trail we take in.” Raymond’s photos of the A.T. capture both up-close and sweeping views from as far south as northern Virginia straight up through to Connecticut. outdoor, traditional and unusual. Located in southwestern Virginia, the town of approximately 6,500 residents has worked hard to create an appealing artsy, outdoorsy tourism destination and efforts are paying off. Marion is, in fact, a recognized, certified Main Street Community, which means it meets high standards in hospitality, offers heritage events, and promotes nearby outdoor recreation. It is also a designated Appalachian Trail Community, which means it works in partnership with the Appalachian Trail Conservancy (ATC) to enhance hiker experiences and build stewardship for the A.T. In 2013, Marion and Smyth County officially became part of the A.T. Community designation program. Notably, tourism-based travel to Marion has increased over the past five years. Within close proximity of Mount Rogers National Recreation Area, the George Washington and Jefferson National Forest, and Hungry Mother State Park, Marion serves as basecamp for day hikers and a place for campers to refresh and refuel. Only seven miles from the Highway 16 crossing and Partnership Shelter on the A.T., the community of Marion offers a 50-cent shuttle called the “Mountain Lynx” between town and two A.T. trailheads, plus a range of overnight accommodations, dining, and resupply options. Several budget hotels on the north end of town are within walking distance to the Walmart. For a more upscale experience, Collins House Inn is a charming bed and breakfast with step-out-the-door access to downtown Marion. like that described by so many of his generation: exploring the woods near home unsupervised, on foot or on bikes. No internet, cell phones, video games — as long as kids were home before dark, nobody seemed to worry. For Dudley, there were also a couple of years in the Boy Scouts in elementary school, SCUBA on college spring breaks, and sailing as a young man. And then a PhD program, marriage, mortgages, children, and a demanding professional life to keep him more than busy — and off the water and out of the woods. for the Appalachian Trail cannot plan thru-hikes. They lack support resources, they lack the pure physicality or conditioning necessary for the 2,190-mile hike from Georgia to Maine. But that passion still burns deep, like the embers of an evening campfire smoldering at dawn. Such am I. Too short to stand in the five-foot section of a swimming pool, my 153-pound frame might be the envy of an eighth-grade football player, but not most 61-year-old women. Despite two repaired shoulders, a duck-footed walking gait, and a lifetime lack of camping experience, this passion has smoldered. When the tune “Shenandoah” played at my father’s funeral in 2011, the emotion of the moment combined with the exquisite gentleness of the notes to create a music so beautiful that it hurt; it lit something inside me — a desire I never knew that I had. Long after those particular moments, I faced the realization that I would turn 60 years old. Small, but active and in reasonably good health, I read an article in a Sunday newspaper magazine discussing hiking the Appalachian Trail. Now I could identify the desire lit within me years before — I could nurture that spark. I recognized that my spark would need to be fanned with research before action — lots of research. To begin, I contacted my son, Jon, in Bellingham, Washington. Having worked three years with the Montana Conservation corps, he proved to be a wealth of knowledge regarding backpacking. I also pored over websites discussing backpacking and camping equipment. The public library provided additional resources with books on camping, the Appalachian Trail, and so forth. African American History Hike, Sunday, April 29, 1-3 PM. This popular National Park Service ranger-led one-mile hike is being offered as part of the Flip-Flop Festival. Learn the fascinating stories of how Harpers Ferry became the site of an influential institution of higher learning after the Civil War. 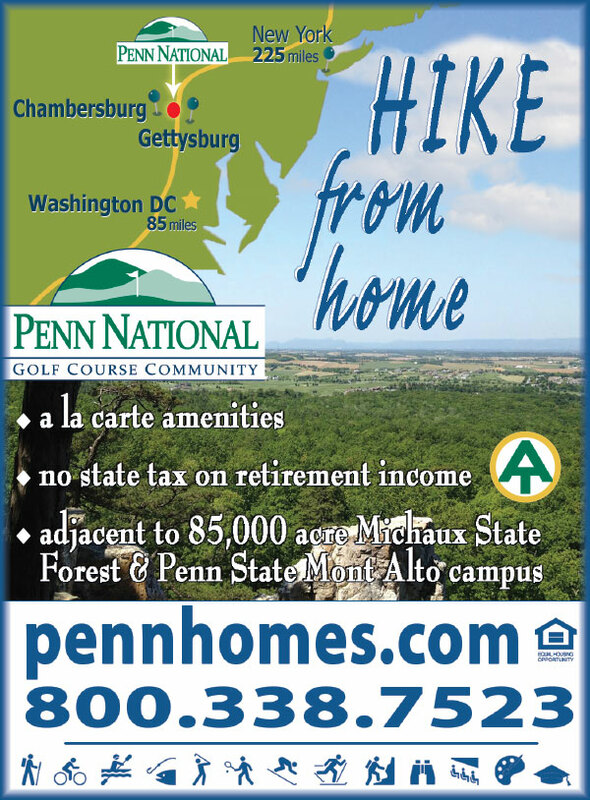 Meet at the Appalachian Trail Conservancy, 799 Washington St., Harpers Ferry, WV 25425. For more information visit: appalachiantrail.org/events. A.T. Museum Hall of Fame Banquet. The eighth annual Appalachian Trail Hall of Fame Banquet will be held at the Appalachian Trail Museum in Allenberry, Pennsylvania; Friday, May 4, 2018 from 6- 9 PM. For more information visit: atmuseum.org. Course attendees will be spending the two nights/three-days backpacking, rain or shine. Courses are limited to six participants, and spots will be tentatively reserved on a first come, first serve basis. Pending review, applicants will be chosen by ATC staff. Cost of courses are $375 per person, which includes food. Contact Chloë de Camara, ATC Trail education specialist at: [email protected]. ATC Affinity Groups. Help the Appalachian Trail Conservancy reach out to communities currently underrepresented on the Trail through our new launched Affinity Groups. We will host a webinar on April 25 at 12 PM. All are welcome. Contact Shalin Desai at: [email protected] or Julie Judkins at:[email protected] for more information. The Trail Dames announce their next summit, to be held July 13-15, 2018 at Western Carolina University in Cullowhee, North Carolina. The Trail Dames Summit is the nation’s only hiking and backpacking conference just for women, and welcomes armchair dreamers, and complete novices, as well as seasoned backpackers. If you identify as a woman of any shape, size, color, religious, political, or otherwise persuasion, you are welcome. In addition, there will be book signings, gear vendors, and a silent auction to benefit the Trail Dames Charitable Foundation. For more information about three days of laughter, learning, and dreaming with women who share a love for the outdoors visit: traildamessummit.com. The Appalachian Trail Conservancy is recruiting for several internship positions. For more information and to apply visit: appalachiantrail.org/internships. Public Notices may be edited for clarity and length. when we emerge from the canopy of the tall trees and thick woodland that has sheltered us from the strong spring sun. We have been climbing for three hours, stopping only occasionally to catch our breath, rest our heavy legs and sip water that has long since lost the refreshing chill from the stream in the valley far below. The Trail seemed to go on endlessly as we looked ahead and up. Always up. The mountaintop, our destination, seemed to be just steps or minutes beyond us. But each time the path leveled off, it brought into view another climb. Another challenge. It’s always that way on the Trail. You hike along, not knowing what lies around the next bend or over the next crest. You desperately want to reach the destination, and you know you will, but then the journey will be over. So, in spite of the struggle, you try to focus on enjoying the present. Every step takes on the significance of another milestone reached. Each mile brings with it a special sense of accomplishment, but only briefly, because the next mile waits for you. The next mile — often steeper and rockier than the previous one — stretching out ahead, challenges you not to quit yet, daring you to go a little farther along this lonely, narrow road — even as your legs ache and the bottoms of your feet burn. Sometimes you wonder why you put yourself through this — the walk from one point on a map to another — especially when the rocks beneath you slide and force you to catch yourself just before you stumble off the path.